*This Support Group is open to male survivors with brain injury. *Please check the bulletin board at the bottom of the stairs for meeting room location. The Brain Injury Association is a network of local affiliates and our national office. If you are outside of Missouri, visit the Brain Injury Association of America to find local services and support groups. Call 1-800-444-6443 for information and referral to resources within your community. Within the St. Louis area, please call 314-426-4024. The Brain Association of Missouri (BIA-MO) will provide information regarding resources within your community. These services range from basic needs resources to brain injury specialized services. The 1-800-444-6443 is a national toll-free number and will connect you to the Brain Injury Association within your community, based on the area code of your phone number. For example, if you are calling from area code 314, 417, 573, 636, 660 or 816 you will reach the Brain Injury Association of Missouri. Other area codes will direct you to the Brain Injury Association of that state. Professionals: To make a referral for services for a client, customer or consumer, click here. The Brain Injury Association of Missouri (BIA-MO) Survivor and Family Regional Seminars provide helpful information, practical suggestions and support for life with brain injury. Each year, regional Seminars are held in Southwest and Western Missouri in Spring and Eastern Missouri in October. Seminars are free, but registration is required. Seminars are free, but registration is required. Register Online Now! Show your support for survivors of brain injury and their families by becoming a Sponsor! Each year the Brain Injury Association of Missouri (BIA-MO) recognizes a few individuals and organizations for their outstanding achievements. Courage Award – Honors the success of an individual with brain injury. Bill Buell Memorial Award – Honors a Vocational Rehabilitation Counselor or Case Manager who has provided outstanding service to the brain injury community within or outside of his or her employment responsibilities. Point of Light Award – Honors an individual who has provided outstanding service to persons with brain injury. Nominations must be made by an individual with brain injury. Volunteer of the Year – Honors an individual who has furthered the Mission of the Brain Injury Association of Missouri through his or her volunteer service with the organization. Legislator of the Year – Honors an elected official representing citizens of Missouri who has supported the prevention of brain injuries, services for survivors of brain injury or their families, or supported issues important to the brain injury community. Service Excellence Award – Community Service – Honors an individual or organization for exceptional service within the brain injury community. Service Excellence Award – Prevention – Honors an individual or organization for lasting contributions in brain injury prevention. Service Excellence Award – Public Relations – Honors an individual or organization for outreach and educational efforts that have increased awareness of brain injury, needs within the brain injury community, and the Brain Injury Association of Missouri. Lifetime Achievement Award – Honors an individual or organization for significant contributions and long-term impact to the brain injury community. Nomination deadline is September 15 each year. Click here to submit online application. The Brain Injury Association of Missouri Annual Statewide Conference is the only Conference in Missouri established specifically to address current trends in innovative therapeutic strategies, cutting-edge and best practice treatment options, and research relating to brain injury. This Conference featured national and local experts addressing issues of interest to professionals, survivors of brain injury and family members. Sessions held Thursday and Friday focused on topics of interest to healthcare professionals, rehabilitation specialists, social workers, agriculture experts, vocational counselors, physicians, psychologists, mental health professionals, case managers, service coordinators, and others who provide care for persons with brain injury. On Saturday, a special Seminar was held for survivors of brain injury and families. Saturday, October 6 featured the Survivor and Family Seminar – Eastern Missouri. This Seminar was held in conjunction with the BIA-MO Annual Statewide Conference. Send an email to Conference@biamo.org to be added to the mailing list for updates about the 2019 BIA-MO Annual Statewide Conference. 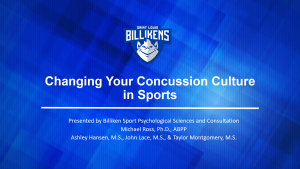 Thank you to all who participated in the BIA-MO Sports Concussions: Facts, Fallacies and New Frontiers Educational Seminars. They were a big success in educating school and sports personnel about concussions. 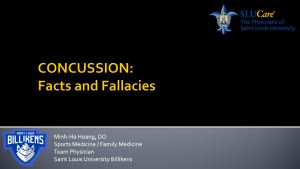 The Brain Injury Association of Missouri (BIA-MO) Sports Concussions: Facts, Fallacies and New Frontiers education is a professional development opportunity for youth sports team and school personnel to reduce the risk of concussions and improve concussion management protocols. 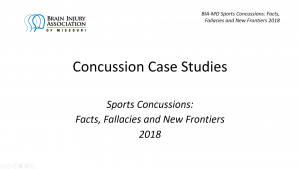 Contact Alyssa Grese if you would like to be put on the mailing list for the 2020 Sports Concussions: Facts, Fallacies and New Frontiers Seminars at (Alyssa@biamo.org)or 314-426-4024. 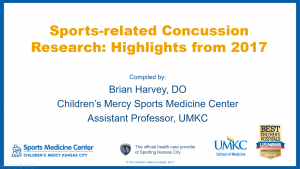 Sessions from the Missouri Concussions Seminars 2018 are available to watch on online! Click on a title or picture below to begin the video. 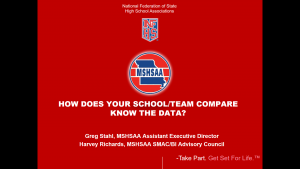 How Does Your Team/School Compare – Know the Data? The Brain Injury Association of Missouri offers education programs for youth, parents, school personnel, coaches and the community regarding concussions and brain injury. All of the programs below are offered free of charge to team and school personnel. A 15-minute standardized educational program that is incorporated into parent and/or athlete meetings. It is also relevant for parent-teacher organizations or athletic association meetings. Content includes the signs and symptoms of a concussion, why it is important to recognize a possible concussion, what should the parent or teammate do if they suspect someone has a concussion, what helps with healing of a concussion and when is medical attention needed following a possible concussion. Print a Request for Presentation Form or complete the Request for Presentation online. Training for youth sports coaches (paid or volunteer), school nurses, administrators, and licensed athletic trainers. This half-day training is free of charge for sports team and school personnel. 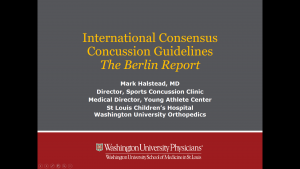 Content includes an in-depth review of the signs and symptoms of concussion, risk factors regarding short and long-term effects of concussion, concussion care and management at the time of potential injury through recovery, return to play protocols and Missouri’s youth sports concussion law. Sign up to receive information about the Sports Concussions: Facts, Fallacies and New Frontiers Seminars. Age-appropriate education is offered for elementary, middle and high school students regarding brain injury as part of a specific class or Ability Awareness Day programs. Content includes causes of brain injury, affects of brain injury, impact on the person and his/her family, concussions and how to be accepting of individuals who may have sustained a brain injury. 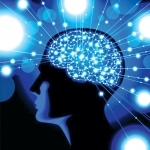 We also mention services of the Brain Injury Association of Missouri for further information. Print a Request for Presentation Form or complete the Request for Presentation online form. Contact BIA-MO for information at info@biamo.org or 1-800-444-6443. Brain Injury Association of Missouri staff and volunteers are available for educational presentations. Audience groups include professionals of various disciplines, community or civic organizations, youth sports associations, schools, corporations and more. To request a brain injury related presentation, please complete the downloadable Request for Presentation Form or contact the Brain Injury Association of Missouri at SpeakersBureau@biamo.org or 1-800-444-6443. 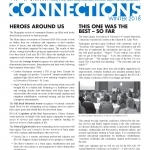 Locating resources for consumers and clients is often a challenge and the purpose of the Networking Coffee is for professionals to increase or refresh their awareness of resources for survivors of brain injury. Email BIA-MO Program Associate, Alyssa Grese (Alyssa@biamo.org) to RSVP, for more information, or to be added to the mailing list for future BIA-MO Networking Coffees and events. The Brain Injury Association of Missouri (BIA-MO) is pleased to offer educational scholarships for survivors of brain injury to pursue post-secondary education. Qualified educational institutions include two-year colleges, four-year colleges or universities, and vocational and trade school programs. Scholarship funding may be used for expenses directly related to post-secondary education. Allowable expenses include tuition, room and board, books, required class material such as workbooks, specialized tools, etc. Corporate scholarship of SSM Health Rehabilitation Network – Select Medical Partnership to assist survivors of brain injury on their road of recovery through encouragement and support for post-secondary education. The SSM Health Rehabilitation Network Scholarship program offers two $750 post-secondary education scholarships for survivors of brain injury who are residents of Missouri. Honors the long-time volunteer leadership of Jim and Lori Winter for strengthening the Brain Injury Association of Missouri. Lori continues her volunteer service as a Support Group Facilitator for two groups. Donations to BIA-MO support the Jim and Lori Winter Scholarship Fund to provide two $500 scholarships for survivors of brain injury to continue post-secondary education. Scholarship recipients must be residents of Missouri. Corporate scholarship of Griggs Injury Law, LLC to assist survivors of brain injury in Western Missouri and Kansas counties of Johnson and Wyandotte. The Griggs Injury Law Educational Scholarship provides two $750 scholarships to support post-secondary education. Applications for the BIA-MO Educational Scholarships ACCEPTED THROUGH September 15 each year. The same application is considered for each Scholarship. Applicants should complete only one application. Application Essay: Up to 500 words by the survivor of brain injury sharing how and when his or her brain injury occurred, challenges that have resulted, and education status, successes and goals. This essay should include the applicant’s educational plans and how the BIA-MO Scholarship program will assist in reaching the goals. Two letters of reference: From individuals familiar with applicant’s abilities and educational/training goals such as a teacher, rehabilitation therapist, counselor, or employer. Acceptance Verification: Documentation showing acceptance to participate in educational/training program on Scholarship Application. Mail: Brain Injury Association of Missouri, Inc. The same application is used for consideration for each scholarship. There is no need to submit separate applications. The Scholarship Committee reviews all applications. From these applications the Committee selects recipients. Decisions by the Scholarship Committee are final. All applicants are notified of the decision regarding their scholarship following the Selection Committee Meeting. The scholarship payment is sent directly to the educational institution. The Application Deadline is September 15 each year. This week of fun, socializing and adventure for persons with brain injury is one of the initial programs of BIA-MO and continues its positive impact today. The BIA-MO Donald Danforth Jr. Wilderness Camp is a week-long organized outdoor experience, held at Sunnyhill Adventures in Dittmer, Missouri for persons with a brain injury. During Camp, survivors of brain injury of all abilitites have opportunities to try – and overcome – challenges such as a zipline or performing in the Talent Show. They also socialize as a group listening to music, playing games, creating art, or enjoying the outdoors. Activities like swimming, fishing, dancing and walking are fun for Campers. Family members and caregivers receive a week of respite. Why: Survivors will enjoy a week of fun, relaxation and independence, while family members and caregivers stay home for a week of respite. How: The cost for the camp is $390 for Missouri residents and $475 for out-of-state residents. Scholarships are available if needed. A contracted Camp fee of $550 per person is charged to BIA-MO. If you are able to pay closer to this amount, please do so to help scholarships be available for other Campers. Transportation: Campers provide their own personal transportation to and from Camp, in most cases. 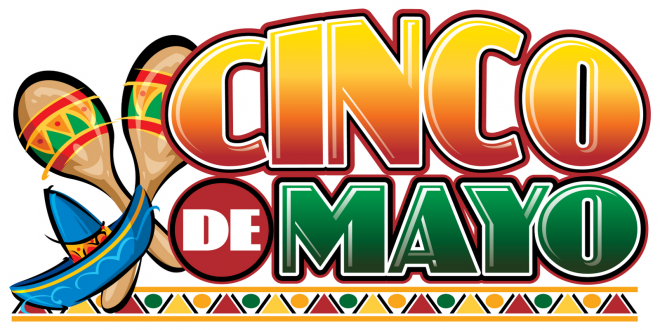 Van transportation from St. Louis, Kansas City, St. Joseph, and Columbia is available for $25 per rider. This service is provided by Sunnyhill and must be requested as part of the Camp application. Day Activities – Swimming, fishing, arts and crafts, target shooting, basketball, zip lining, paddle boats, nature walks, Alpine Tower and more! Personal Care Assistance – Sunnyhill Adventures has staff to provide personal care assistance, as needed, for survivors’ enjoyment of Camp. It is not a “Special Medical Needs” Camp as defined by the American Camp Association (ACA) and some Campers with complex medical needs may need to provide their own PCA. Assistance with Camp Fee – If assistance is needed to cover a Camper’s Fee, check with local resources who may be able to help. Sunnyhill Adventure Camp – They are accredited by the American Camping Association and have served individuals with special needs for more than 40 years. Learn more about Sunnyhill Adventures. Walk-Float-Swim – This At-Camp fundraiser gives Campers the opportunity to log Laps around the pool or designated Campground areas. Participants may win prizes while all are active walking, swimming or floating. Family, friends and neighbors may donate a fixed amount for each lap a Camper walks, floats or swims while at Camp. Donations support the Brain Injury Association of Missouri and Camp. Approximately 40 percent of Campers attending the BIA-MO Donald Danforth Jr. Wilderness Camp need scholarship assistance with the Camp Fee. Your donation of $390 or more provides Full Scholarship assistance for a Camper. Your generosity of any amount will support partial scholarships and program support to ensure Campers who want to attend Camp have the opportunity for this week of fun, relaxation and independence. Make Your Sponsor-A-Camper Donation now! More information and details are available as well as suggestions on financial resources and assistance with Camp Fees. Contact the Brain Injury Association of Missouri (BIA-MO) at 1-800-444-6443 or send us an email by clicking on Contact Us. For Questions: Call 314-426-4024 or email alyssa@biamo.org. Contact the BIA-MO Office at 314-426-4024 for more information. 2,500 survivors of brain injury and family members receive support, gain knowledge, and know they are not alone.